Janesko custom and fine jewelry pieces are a one of a kind statement. This fine chain has a single butterfly wing pendant. 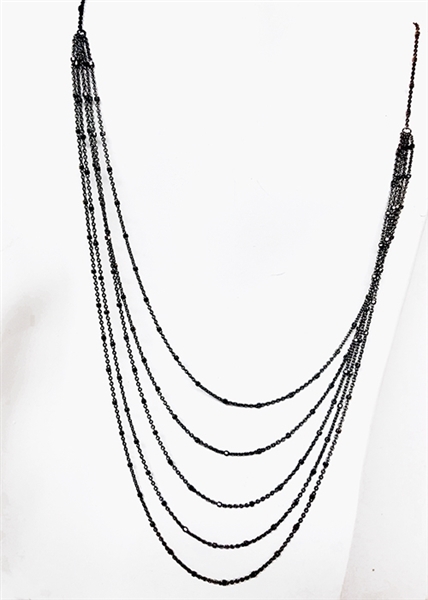 Custom designed multi strand necklace featuring small stones that catch the light. 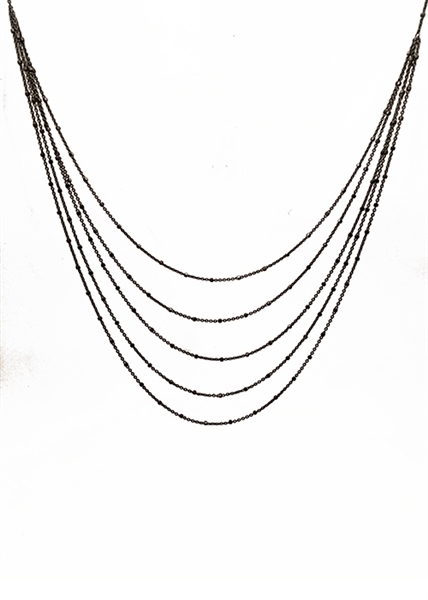 This sterling silver necklace plated black.